There are several specific types of development like extension development used for creation or customization of extensions used with CMS systems like Joomla, Wordpress, or Drupal. Bug fixes are another aspect of web development. Many open source codes used to expedite functionality on web sites come 'out of the box' with bugs... sometimes quite a few. Custom Facebook pages and custom email newsletters are a little simpler, but could also fall into this realm. The first step to getting a web site off the ground (before having it developed) is to register a domain and purchase hosting. Godaddy is the worst choice you can make there... they have the world's slowest servers, the world's longest hold time for support, and their packages aren't expandable. If you run out of resources, you have to go to a VPN with no support that costs $100s per month. Godaddy is THE WORST. Anything related to blockchain development including EVM (Ethereum Virtual Machine), Remix & coding in Solidity. 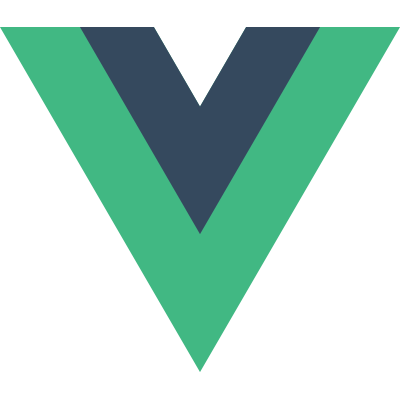 Vue(pronounced / vjuː /, like view) is a progressive framework for building user interfaces.Unlike other monolithic frameworks, Vue is designed from the ground up to be incrementally adoptable.The core library is focused on the view layer only, and is easy to pick up and integrate with other libraries or existing projects.On the other hand, Vue is also perfectly capable of powering sophisticated Single - Page Applications when used in combination with modern tooling and supporting libraries.